It’s that time of year again, everyone. September issue season is here and magazines are putting some of the best in modeling, fashion and entertainment on their covers. 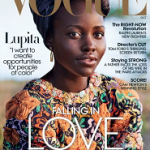 The September issue is the most important and biggest issue of the year for fashion publications. 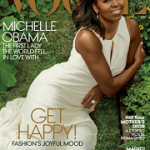 Candy Pratts Prince once said, “September is the January in fashion.” September’s fall fashion issues holds a lot of weight and most luxury houses spend the most amount of advertising dollars in this particular issue. 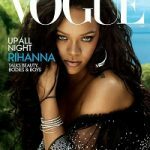 Serena Williams covers the September 2016 issue of Self magazine (see it here), Rihanna covers the September 2016 issue of W magazine (see it here), Bella Hadid covers the September 2016 issue of Glamour and Vogue Japan (see it here), Cara Delevingne covers the September 2016 issue of Elle Magazine (see it here), Kerry Washington is InStyle magazine‘s September 2016 cover star (see it here), Sarah Jessica Parker fronts Marie Claire’s September 2016 Issue, Uzo Aduba covers the September 2016 issue of Essence magazine (see it here) and Zendaya covers Hype Hair‘s September 2016 issue (see it here). The moment we’ve all been waiting for is finally here! Kendall Jenner covers the September 2016 issue of Anna Wintour‘s Vogue magazine. This comes as no surprise because Jenner received her very own special-edition of the glossy back in March. She has been featured in the December 2015 issue of Vogue, November 2015 issue of Vogue, Vogue Japan November 2015, September 2015 issue of Vogue, Vogue April 2015 issue, Vogue magazine’s February 2015 issue, Vogue‘s January 2015 issue, and Vogue‘s December 2014 issue. Photography duo Mert Alas and Marcus Piggott photographed the shoot. Styling was courtesy of fashion editor Tonne Goodman. Jenner styles in a Prada jacket, skirt and shirts, Maison Margiela dress and waders, Proenza Schouler knit dress, Louis Vuitton dress and boots, Loewe dress, leather bra and shoes, Valentino dress, Givenchy jacket, Vetement bomber jacket, hoodie and thigh-high boots, Hood By Air, sweatshirt, trousers and boots, Alexander McQueen lace dress, Gucci sequined dress and shoes, Alexander Wang ensemble, The Row ensemble, and more.